I was provided a free trial Jenny Craig program and meals. However, the opinions expressed are entirely my own. I’ve entered my second month of the Jenny Craig program, and I’m happy to share that I’ve lost 13 pounds and lost 5 inches from my waist*. My consultant's mouth dropped open when she took my measurements the other day. We measured twice just to make sure. I could tell that the weight I carry around my waist is shedding faster than other areas. I can also see little differences in areas like the spot right above the knee on the backs of my legs. I also have more energy which helps get me moving more. I'm more likely to head to the gym or get outside if I have the energy to do so. I’ve also discovered a few things about myself and my eating habits that can be detrimental to my weight loss*. When I get stressed out, I reach for rich, flavorful foods. This generally comes down to wanting to go out to eat with my family. When you work at home all day, sometimes you need to get out. The number one thing I’ve learned from my consultations is that as long as I’m remembering my portion control and adding more fresh and free foods into my order, I’ll be just fine. When my order comes out, I immediately cut everything in half and place one-half in a to-go box. Not only am I eating out smart, but I'm also getting two meals in one! My consultant also walks me through potential challenges for the week. She asks me about my plans, and then we go over the menu to make sure there is something that I can take. For example, the week of 4th of July was a busy one. I had plans to go to the movies, then we went on a whitewater rafting trip down the Ocoee, and then we had a BBQ with family to celebrate the 4th. She helped pick which meals would be good to take on the rafting trip and the BBQ. Then we switched out a snack so that I could bring popcorn to the movie theater with me. Planning ahead really helps. When I get asked about the program, the first thing people want to know about is the cost, the second is to hear about my results. I was spending about $250 on groceries and with Jenny Craig, the cost is around $223, but with the program. Along with saving money there are also the added bonuses of getting everything portioned out (and cooked) for me, great interaction with my Jenny Craig consultant, plus the food tastes great. Jenny Craig’s award-winning, nutritionally-balanced menus include nearly 100 menu items, including entrees, desserts, and snacks developed by registered dietitians, nutritionists, and culinary experts. When you enjoy the food you’re eating, you're more likely to stay on track. It's not just about opening a meal and eating it. You can work your Jenny Craig meals into recipes with a variety of your favorite fresh and free foods. One of my favorites is to make some stir-fry vegetables with broccoli, cauliflower and carrots and then mix in the Sesame Chicken meal with it. I'm getting the extra veggies in a fun way, and the extra sauce from the meal covers the stir-fry also. You can do the same with the Beef Chow Mein and the Kung Pao Beef. Here is a fun one that I made with my Chocolate Muffin. 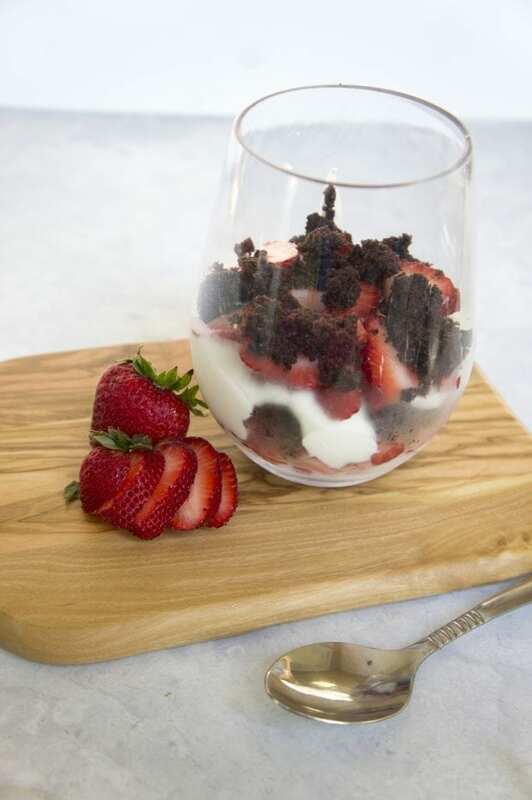 I crumbled the muffin up and layered it with vanilla greek yogurt and some fresh strawberries. My kids kept trying to steal it from me. I've gotten creative with the ready-to-drink shakes as well. You can add in your fruits to make the perfect pick me up when those mid-day cravings hit around 3pm or after a workout. Weight loss is 80% diet and 20% activity. So it's important to focus on what is holding you back. In my case, I turn to food as a coping mechanism for things like stress, boredom, and because other are doing it around me. Having a consultant to talk to about this stuff is helping to make me aware of them and ways to work through them instead of eating my feelings. Because life is always going to throw you curve balls and stress you out. There is no avoiding it, but how I deal with that curve ball is what I'm working to change. Do you want to try Jenny Craig for yourself? 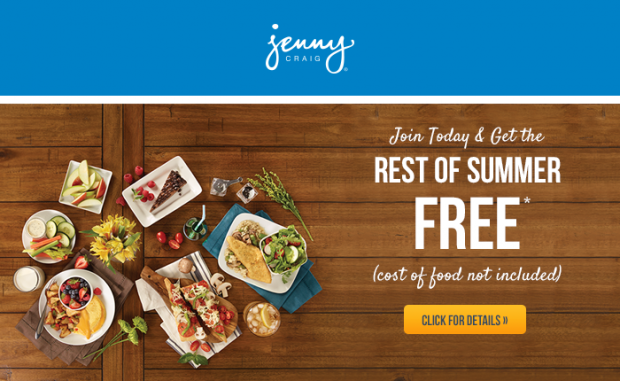 Jenny Craig is giving away 12 Taste Of Success Sample Kits! Winners will be sent 3 days of Jenny Craig food (breakfast, lunch, dinner, and snacks), so they can try some of Jenny Craig’s most popular dishes. 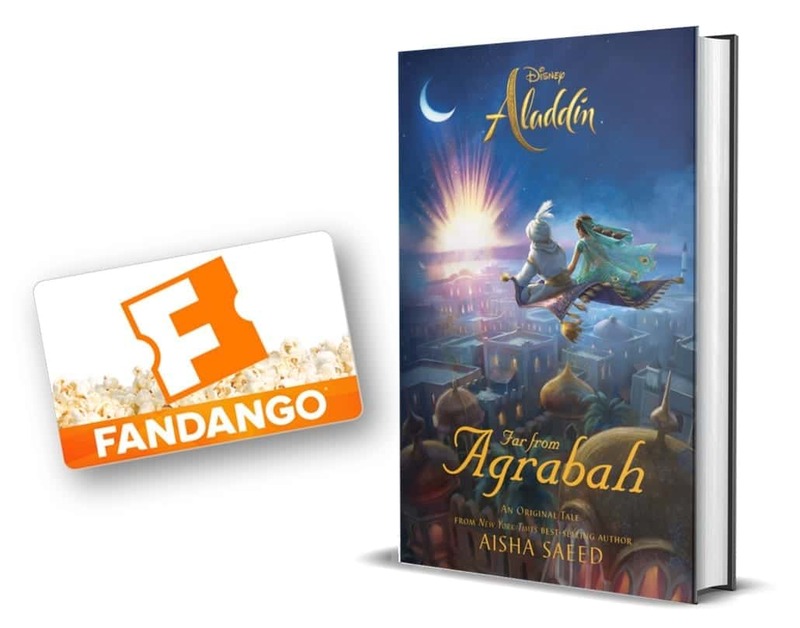 Enter for a chance to win with the below Rafflecopter. Good luck! Jenny Craig’s comprehensive approach to weight loss is available to members in person or by phone with Jenny Craig Anywhere. Thanks for sharing your story and experience! 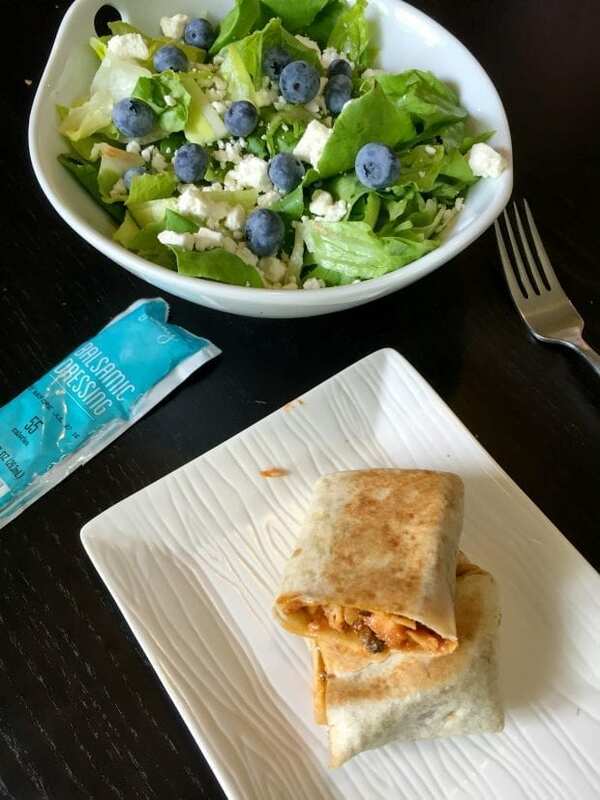 Eating is definitely the most challenging part for me and I would love to learn about healthy options through Jenny Craig! Yes! My challenges include portion control and remembering to eat. Things that can cause the body to store more fat. It’s been the perfect program for me so far. Go girl!! 🙂 That picture of you is so pretty! 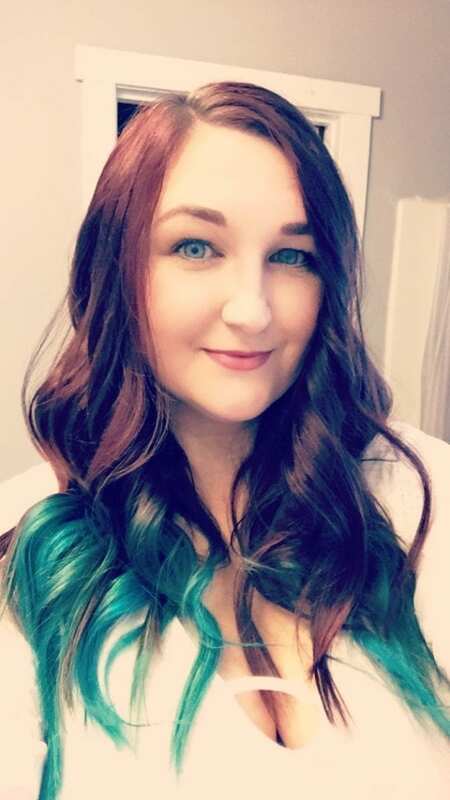 I can’t wait until your hair is done. Planning ahead works well for me, too…. but yesterday I didn’t get lunch until 4pm, and I was reaching for anything! And, so proud of you for working so hard. When I’m stressed out I want to sleep but when I’m bored my appetite goes CRAZY! I really need to keep more good healthy things like this in the house so I don’t succumb to the afternoon munchies!